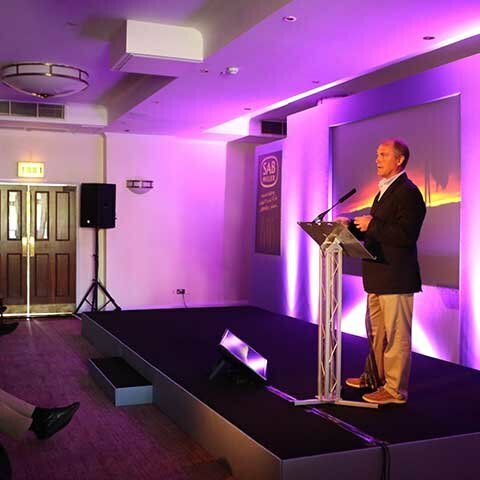 A global beer manufacturer approached us to help organise a three-day senior leadership team conference for 60 international managers. They required full event management including, venue finding, logistics planning, ice breaker activities, conference production and content management. We searched our conference venue database for suitable locations close to Heathrow airport that would provide both the conference room space and overnight accommodation for all delegates, and was close to Mercedes Benz World in Weybridge – the chosen venue for a once in a lifetime driving themed ice-breaker activity. 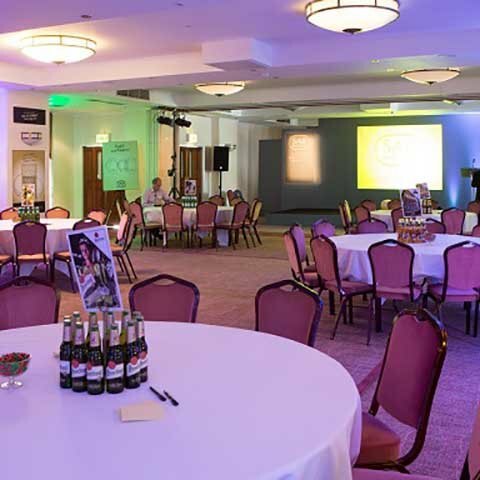 Our event production team put together a flexible conference room layout that could easily be changed between a theatre and cabaret, or to a syndicate group meeting space. The fully bespoke stage-set remained in place but the remaining area of the room was fully dynamic to allow for regular breakout sessions. The breakout sessions involved syndicate activity so “booths” were constructed around the outside areas of the room that allowed delegates to interact with content easily. A murder mystery evening ran alongside the second night’s dinner and an inspirational speaker was booked to present to delegates on the final day of presentations. 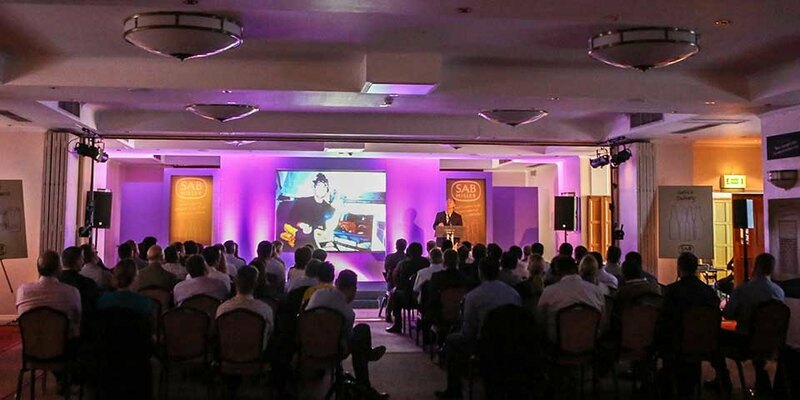 An seamlessly executed 3-day programme that inspired delegates and was deemed a great success. So much so, the client asked us to repeat the event model exactly for another group of senior managers within the company the following month.